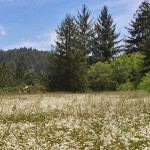 Protect the largest remaining redwood property still in family hands in the entire coast range. With your help, we can ensure permanent protection of this signature redwood landscape so that its splendid forests, rivers and streams, and vast array of plants and wildlife continue to survive and thrive. Learn more about Mailliard Ranch. For 50 years, LWCF has provided critical funding for land and water conservation projects, outdoor recreation access and the continued preservation of our nation’s historic, cultural and iconic landmarks.